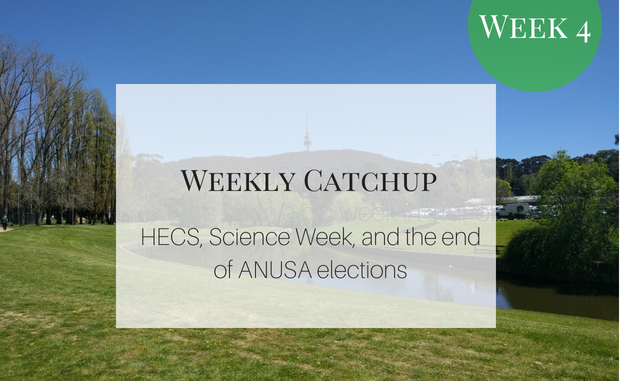 After weeks of campaigning, ANUSA’s elections are finally at an end! Tanika Sibal, from Refresh ANUSA, was elected as Education Officer in the only contested Executive race. She will also serve as an NUS Delegate, alongside Croft Sun, Niall Cummins, Ashish Nagesh, and General Secretary-elect Lachy Day. Fourteen Gen Reps were also elected, including ten from Refresh, two from Ignite, one from Reform and one Independent. In total, Refresh ANUSA won 26 of the 39 voting positions on the SRC. Voter turnout for the election was low, at less than 13%. There were some issues with the online voting system, including a two hour delay in opening on Monday. The International Students’ Department amended its election procedures at a General Meeting. From this year, Education, Social, Publication, and Well-being portfolio directors, will be appointed, rather than elected. This change is a bid to change the “toxic” and “over-politicised” nature of elections. There will now also be a minimum of three Probity Officers for the election, reducing the pressure on the Returning Officer. Last year’s election saw a number of issues, including the disqualification of an elected candidate due to alleged bribery. The list of nominations for the PARSA elections was released. The Presidential race is between current College of Science Rep, Michel Watson, and current Vice President, Zyl Hovenga-Wauchope. Their tickets are named “Empower for PARSA” and “Vision for PARSA“, respectively. Five Board members were elected unopposed – including current President Alyssa Shaw and former General Secretary Chris Wilson – and the remaining three Board positions will be filled as casual vacancies. This week was National Science Week, with events running across campus. Highlights included a Women in Science Lunch, a careers panel, and a science fair. The Senate passed a bill to lower the HECS repayment threshold. From 2019, repayments will begin at an annual salary of $44,999, rather than the previous $51,957. The Bill also places a lifetime cap on borrowing of $104,400, which will apply to loans taken out from the beginning of next year.